Find the the right quote for your floors. If you have a budget pay below the average cost for a flooring specialist by searching our Floors directory in your local area and surrounding areas. For a professional and reliable Flooring service, Nbtrade.com.au offers listings with skills to accomodate any given task big or small. For vinyl floors, ceramic tiles, timber laminates, quality carpets, cork flooring, polished timber. Whether a big job or small you want it to be done by a professional. With Nbtrade.com.au we specify only the most popular and trusted flooring specialists, with experience working dommestic and commerical look no further for the perfect covering for your home. Soft coverings, wood flooring, resilient flooring, hard flooring, seamless chemical flooring. Stop avoiding and get the job done with our Floors directory providing listings for Floors right across Australia, specialising on the Gold Coast and Northern Rivers. Search listings for Floors Palm Beach, Floors Tweed Heads, Floors Casino, Floors Southport, Floors Ballina, Floors Byron Bay, Floors Murwillumbah, Floors Lismore. 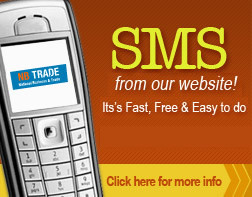 Email or SMS Straight from our Floors directory. Don't be bombarded with misleading advertising, confusing claims and simply bad information. Nbtrade.com.au provides all the information you need. From contact details to specialties. Helping you source Floorings of the highest quality of care. Look no further then Nbtrade.com.au with the best and the most popular in our local area.